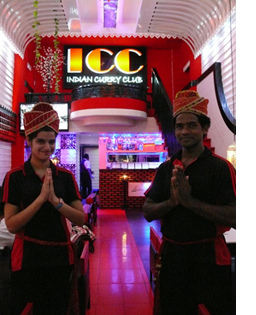 ICC : Indian Curry Club Restaurant, Phuket. | Team of Chef brings you wonderful gastronomic delight of India. Indian Curry Club (ICC), team of Chef brings you wonderful gastronomic delight of India. Our cuisine is traditional. Our motto “Talent & Passion” is a mark of our dedication and commitment that goes in our cooking be it be, the innovative use of highest quality ingredients or in-house freshly grounded spices. We strive in every dish we prepare, in a nutshell we “fix” you great Tandoori kebabs and delicious Curries. ICC offers you a truly royal array of authentic North Indian and mughlai cuisine. At ICC, we assure you warm, friendly and personalized service with a smile. Each delicious meal, prepared with pride and served with care, is of the best quality and yet very reasonable priced.